Old World's German Restaurant has been serving up authentic, award-winning German cuisine for more than 35 years. Our smoked IPA bratwurst, smoked arrogant beer brat with cheese, chili cayenne sausage, chicken florentine, jagerschnitzel, swiss bockwurst and Bavarian chef salad have earned accolades and awards through the years and are complimented with our fresh-baked German breads and full line of imported German beers on tap. Our food, ambiance and fresh authenticity make Old World's German Restaurant an Orange County favorite amongst locals and tourists alike. Join us for lunch or dinner today! Kommen hungry! Old World's legendary Holiday Brunches and Dinners include a wide variety of German, Austrian and American favorites. Make your reservation early to secure your table. 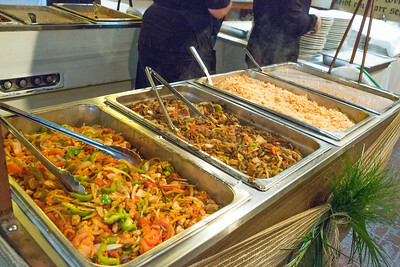 Our expert catering staff can make your banquet an event to remember. With a wide selections of appetizers, buffets or sit down menus to choose from, you'll find a catering package to suit any size or event. Old World offers some of the most affordable and charming banquet facilities in Orange County – perfect for any type of banquet, wedding reception, meeting or special occasion. Old World's Bar offers imported German beers on tap, amazing food, a killer Happy Hour and huge TVs sporting the Biggest Games.